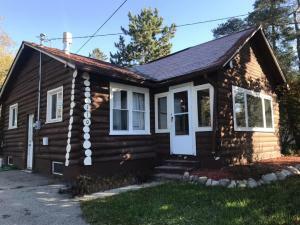 Cozy 2 bedroom log home in the Village of Lincoln! This home boasts a large master bedroom, 19x13 tongue and groove living room, full unfinished, tall basement, and a screened in front porch! Within walking distance to the hustle and bustle of downtown Lincoln and Brownlee Lake!